As we go to press tonight, there is news that a demand from the cañeros of Orange Walk and Corozal for a portion of the revenues which the Belize Sugar Industries (BSI) is earning from bagasse is being met with a resounding “no” from the company – a decision which will no doubt raise the ire of the cañeros, who have been lobbying for a financial stake in BSI for several years. Cañeros have been a part of the talks to bolster the returns from cane farming through co-generation for more than a decade. In fact, Amandala recalls that at a symposium held in Orange Walk in August 2001, cane farmers had expressed great interest in the new power generation option, especially in light of the gloomy prospects of falling returns from sugar exports on the world market. One of the proposals raised then was for the power generation to be done through an independent power provider (IPP) which would make shares available to cane farmers. However, it was BSI which set up the power generation company, BELCOGEN, and that company now forms a subsidiary of BSI, which was recently bought by American Sugar Refining. 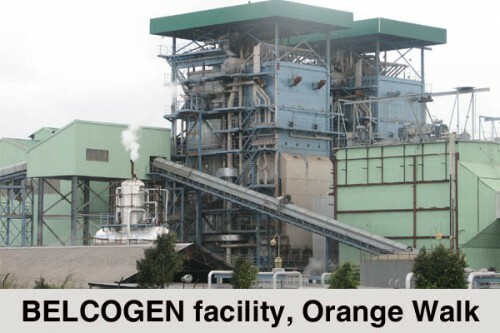 In a statement to the media today, BSI asserted that the cañeros cannot expect a return from bagasse cogeneration when they made no investment in the power generation facility. “Farmers are not asking for anything that is not theirs,” Jose Mai, the Opposition People’s United Party representative for Orange Walk South had said at a recent meeting of the House of Representatives, as he highlighted the dispute and pleaded for intervention, so that cane farmers could be granted a revenue-sharing arrangement for bagasse. Up until last week, talks had been at a stalemate, but Agriculture Minister Gaspar Vega had managed to broker an agreement for talks to proceed. Amandala was unable to reach the Belize Sugar Cane Farmers Association for their reaction to today’s release from BSI. Mai noted in Parliament that 30% of sugar cane is bagasse. He explained that if 15 tons of sugar cane are delivered on a truck, 5 tons are bagasse. He noted that as a cane farmer, 30% of operation costs goes towards growing what would later become bagasse – which the farmer is currently harvesting and transporting to BSI without receiving any payment for the value now added to the sugar cane. “I think that we need to take this seriously,” said Mai, recollecting the 2009 riots which were precipitated by a dispute between farmers and the factory over the implementation of a new quality testing procedure using a core sampler. Apparently warning against a repeat of the 2009 riots, Mai said that the problem which erupted then was one which could have been avoided and which, internationally, “looked bad” on Belize. For its part, BSI said today that the bagasse had been an expense to dispose of until 2010 – when it began co-generation operations. It said that the expense for the last three decades has amounted to BZ$20 million, and the cane farmers didn’t contribute toward the payments for that expense.